The river in the bottom of ravines was half frozen. It was a mother bear to be shot. Dark-red blood was steeping into the brand new snow. As the sun was getting to sink, my fingers have become painful even under the gloves. 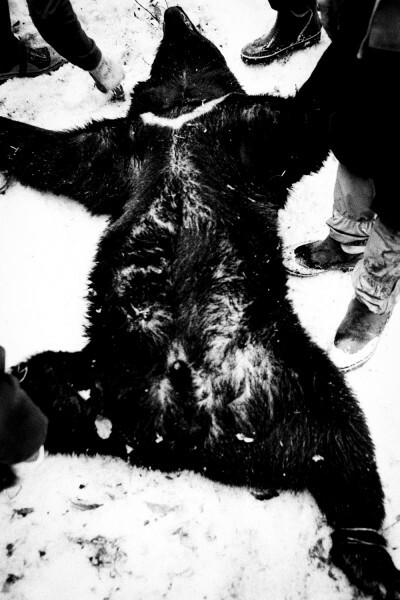 Some men upended the bear’s body and I could see appearing a white-vivid pattern like a boomerang on her chest. 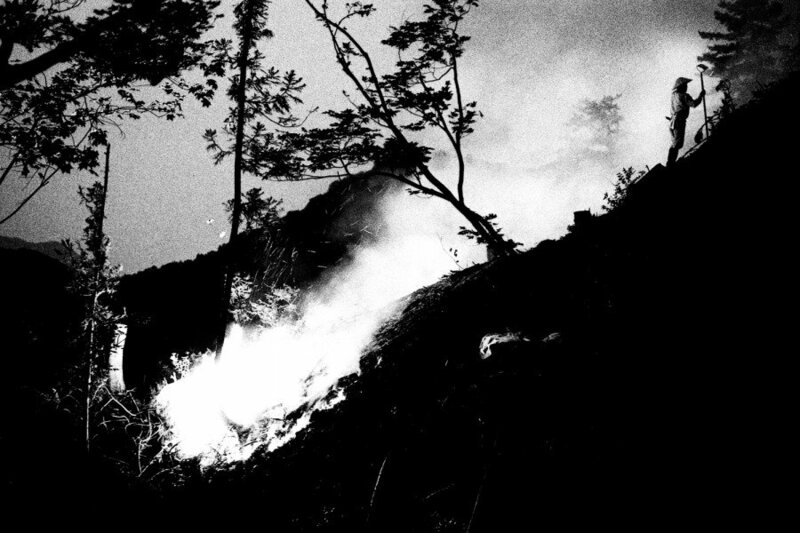 The body seemed deeply black. I felt the word “jet” was only for this bear. The deep-darkness was beating slightly. It looked like looking for her child. Eyes were shining emerald green. The first time I learn the word of Matagi can be gone back to I was the age of 21. At that time, the vague word “MATAGI” made me stop imagining easily rather than inspire something for me. Beyond the world of literature was far away from me. White boomerang was immediately colored red when a dagger was stabbed into her chest. She died in the beginning of new spring, and some big-black men were around her. I wondered how a child would be to live… Her fresh blood was roundly flowing out from an artery. Steam was rising from the deep fat under the fur in the crisp air of minus 5℃. In the end her beat was becoming stopped quietly. 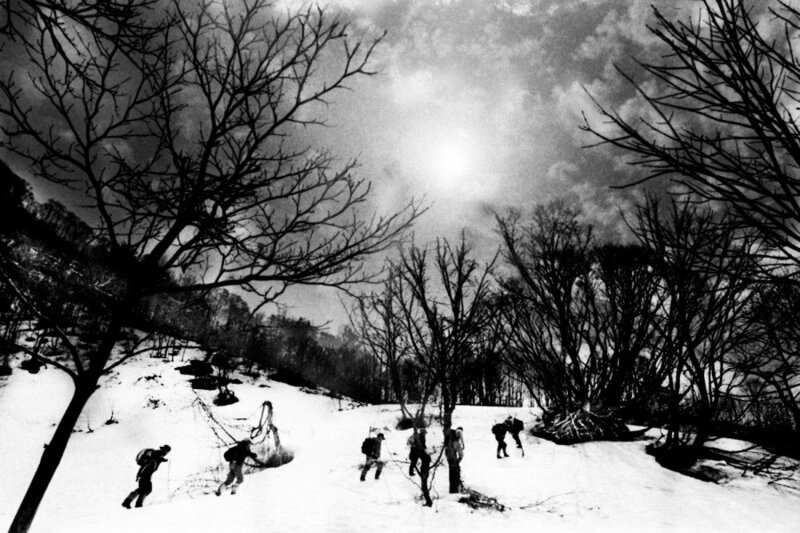 This photographic story is the first subject matter that Hajime would challenge himself to portray. The trigger to his passion dates back to a decade ago, when he was just 21 years old. Sitting in the college library he stumbled upon a book that portrayed the life of an ancient Japanese people living in mountainous ranges, only 30 years ago. 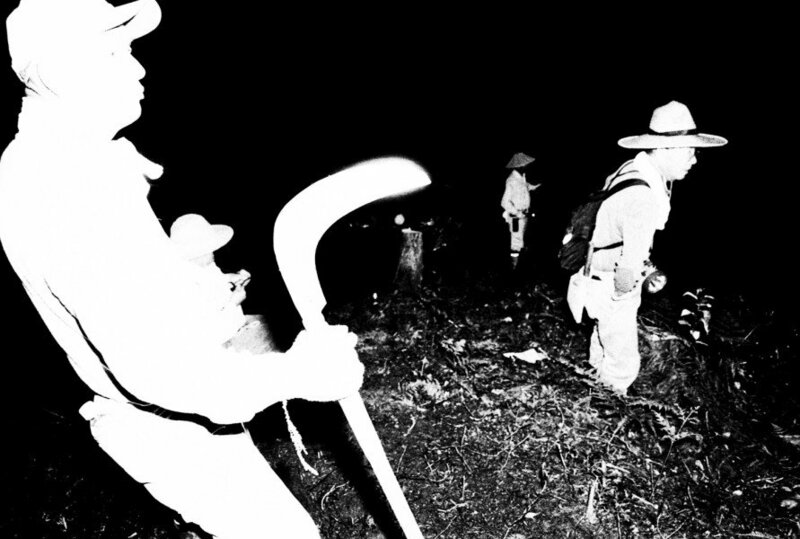 The tribe was described as being quite apart from the Japanese society as we know it today. The book left a deep impression that marked him for life… This 56-page memory is richly overflowing with the recollections of Hajime’s 5 years spent living, between 2007 and 2011, with that very tribe, the MATAGI. 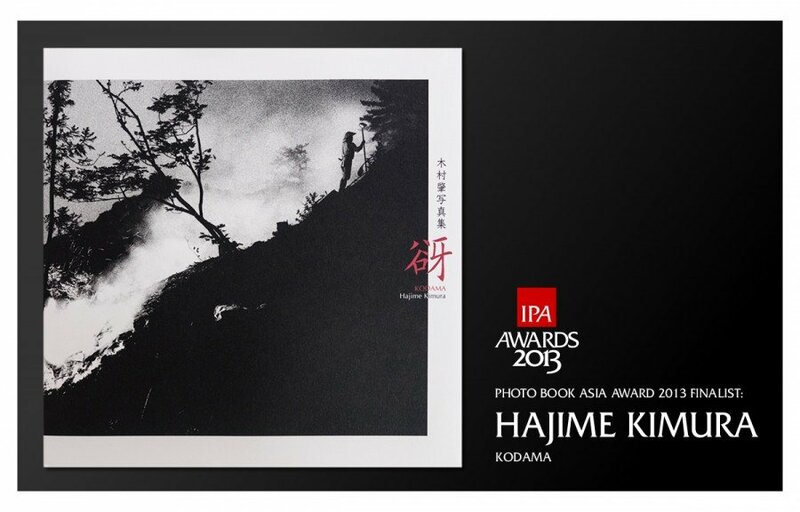 KODAMA, by Hajime Kimura will be showcased at the upcoming IPA Photo Book Show 2013 in October. 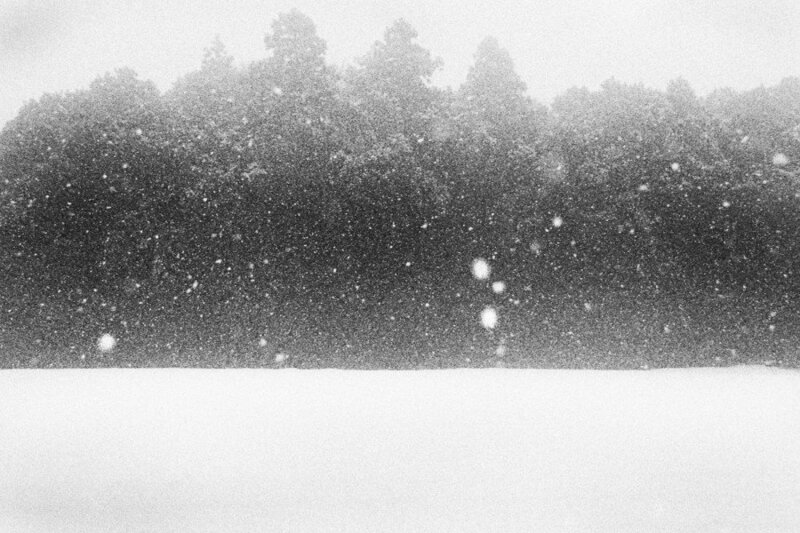 Photographs courtesy of © Hajime Kimura.